“I was suddenly in the presence of three angels who appeared and started talking to me. One of them said to me with urgency in his voice: “There is a great, deep darkness coming upon the earth”. One of the three angels did all the talking. He said this to me several times. Immediately after, the same angel began to say to me: “There is a lot of activity going on in heaven at this time”. After he said this to me three times, I was awakened. It was about 3 am. I was not afraid, but at peace. The presence of the LORD was very strong and I sat up in my bed and wrote down the experience. Again, the angel of the LORD said this to me three times as if he wanted me to remember it. He did not specify what the darkness that was coming upon the earth was, or what the activity going on in heaven was all about. Three angels that were sent with a very urgent, important message. 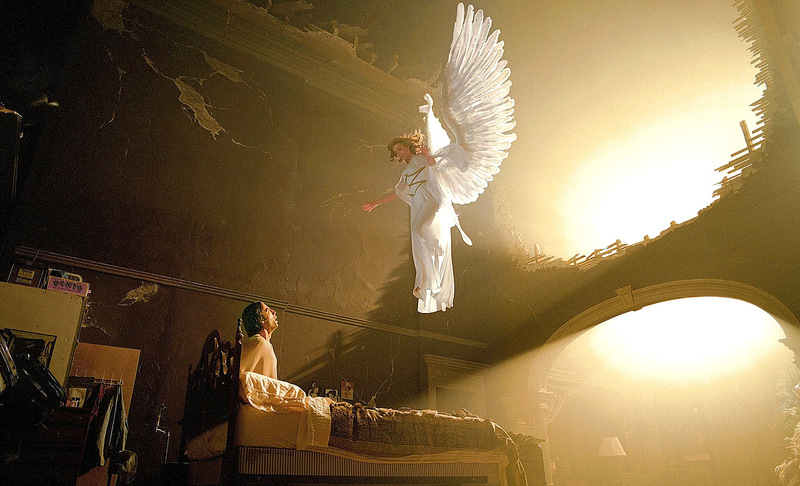 I perceived that the angel that delivered the message was a messenger angel and the other two were warrior angels. After much praying and asking the Holy Spirit for the interpretation of this vision of the night, I was told that the darkness coming upon the earth has to do with the arrival of the man of sin, and consequently the arrival of the nephilims, and the host of demonic spirits which are about to be released from the bottomless pit. This great darkness will affect the people in general, especially the people of God. I also received the impression that there was also a literal gross darkness that is going to engulf planet earth, similar to what happened in the plagues of Egypt (Exodus 10:21-22; 14:20; 20:21). This darkness may be associated with the inbound Planet X and the effects it will have on this planet as well as other things which have not been revealed to me at this time. The book of the Kolbrin talks about a darkness covering all the land of Egypt right before the Israelites were led forth out of Egypt by a great priest prince of the inner courtyard (Manuscripts 6:24). Of course, they were referring to Moses of the Bible although he was not referred to by that name. Psalms 91:9-12 "Because you have made the Lord, who is my refuge, even the most High, your habitation; There shall no evil befall you, neither shall any plague come near your dwelling, for he shall give his angels charge over you, to keep you in all your ways. They shall bear you up in their hands, lest you dash your foot against a stone." Revelation 7:1-3 "And after these things I saw four angels standing on the four corners of the earth, holding the four winds of the earth, that the wind should not blow on the earth, nor on the sea, nor on any tree. And I saw another angel ascending from the east, having the seal of the living God: and he cried with a loud voice to the four angels, to whom it was given to hurt the earth and the sea, saying; hurt not the earth, neither the sea, nor the trees, till we have sealed the servants of our God on their foreheads." Isaiah 34:4 "And all the host of heaven shall be dissolved, and the heavens shall be rolled together as a scroll; and all their host shall fade away, as the leaf fadeth from off the vine, and as a fading leaf from the fig-tree."